When it comes to Mother’s Day gifts my favorites are the ones that capture my kids’ childhood in some way. 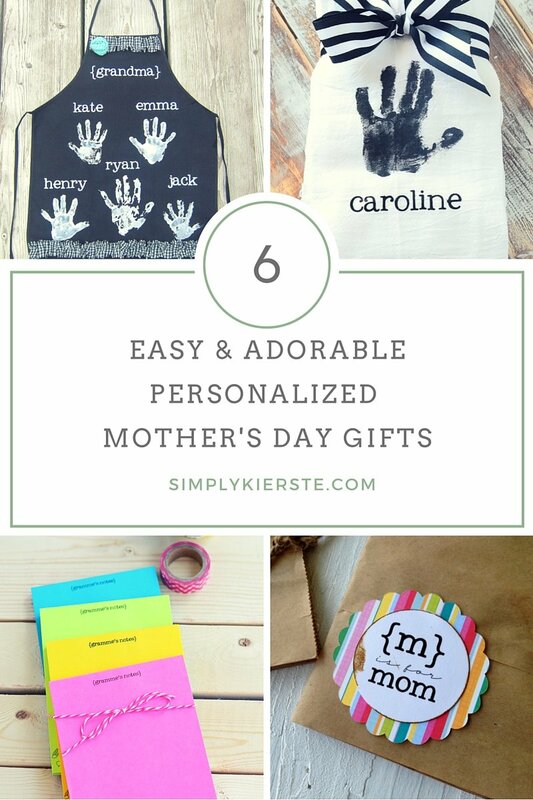 I love using their sweet handprints and footprints, as well as their artwork and handwriting to make handmade gifts that I know my mom will treasure. With Mother’s Day right around the corner, I thought I’d share these easy & adorable Mother’s Day ideas with you! 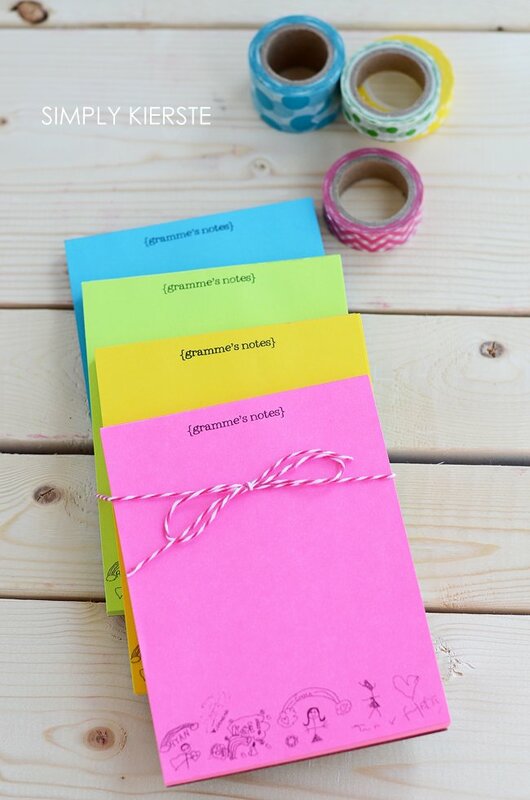 We’ve been making personalized notepaper for many years, and it’s hand down one of our favorites…and my mom’s! It’s super easy to make, and it’s such an adorable way to feature your kids’ artwork! Hands down, this is one of my most favorite projects and possessions. Any mom or grandma would love to use a stool with adorable footprints on it! I made this for my mom’s kitchen, and I love seeing it every time we visit. I adore how tiny my baby’s footprint is (she was only 2 months old when I made it), and especially as she gets older. 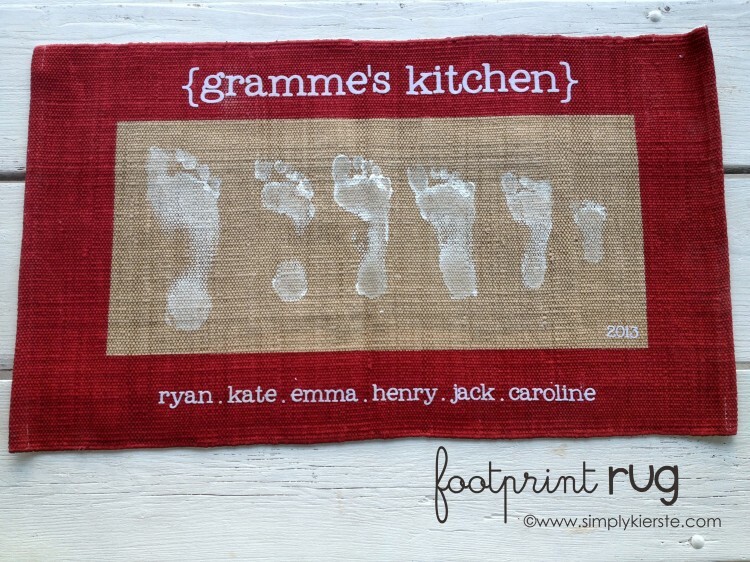 Capturing handprints and footprints means that they just get more treasured! 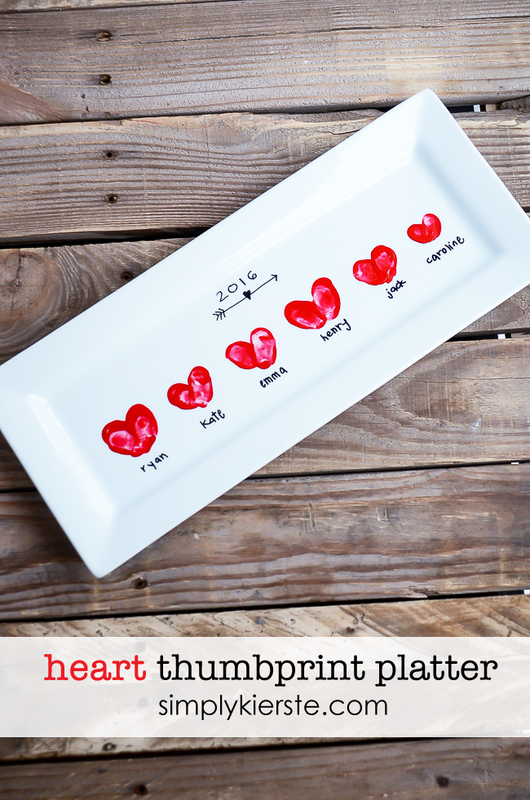 This darling platter makes such fun gift! I made it for Valentine’s Day, but it works just as well for Mother’s Day…or anytime! 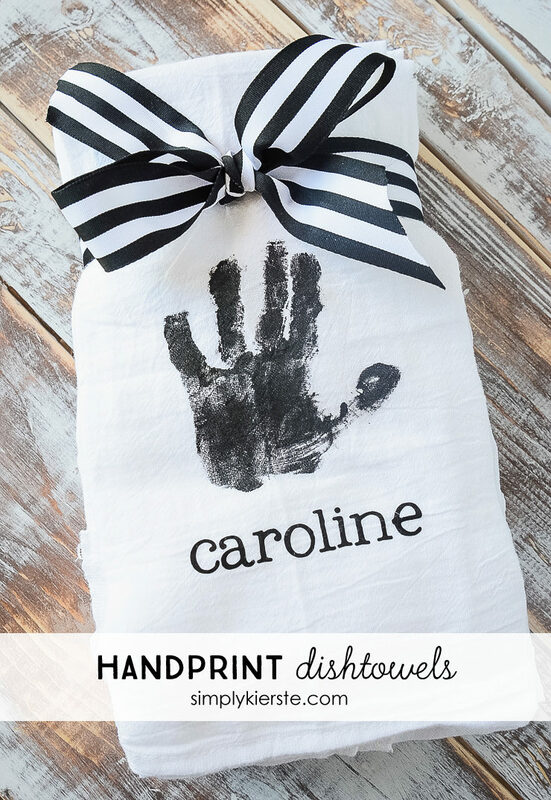 I am in love with these handprint dishtowels! I made a set of six–one for each of my kids. So easy, and SO cute! At my church I worked with all of the kids aged 11 and under, and it was one of my favorite things! 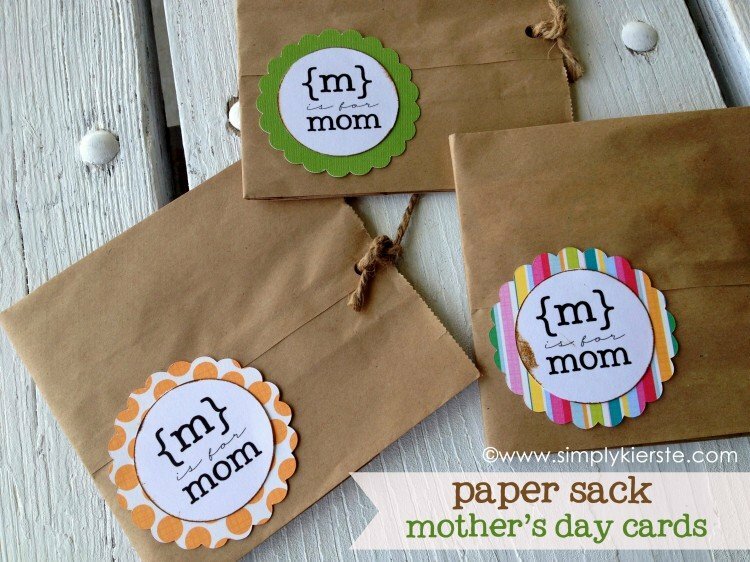 For Mother’s Day, I made these paper sack Mother’s Day cards for the kids to give to their moms. Inside is a Q&A that can be downright hysterical when it’s answered–it’s like looking through their eyes how they see their moms. It works for kids to give to moms or grandmas, or for large groups like Primary and other church groups!